Kumawood actress-Tracy Boakye who made several campaign commercials for the NDC and President Mahama–and sworn by her own hips that there’s no way President Mahama would lose the elections has told Kumasi-based OTEC Fm that President Mahama will forever be her president. “I will never accept any other person as my president,” she added. 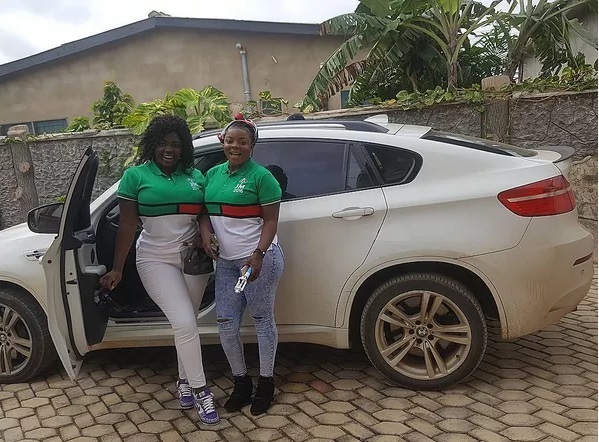 Tracy Boakye did not just make several videos campaigning for the NDC and President Mahama–she is said to have borrowed monies to self-financed those videos, with the intention to be rewarded after the elections. Now, it seems she will need another loan from DKM to pay her debt.